In our first night we have the awesome talent of Mancunian guitarist John Ainsworth, the multi award winning Sophie Rosa on violin, and Tawse a band made up of past and present students of the Rncm: Stewart Wilson, Ben Cashell, Tholly Mason, and Owen Wilson. We also have a film from Louise Palmer which won the 2006 Grand Jury prize in the Cornerhouse Exposures festival. 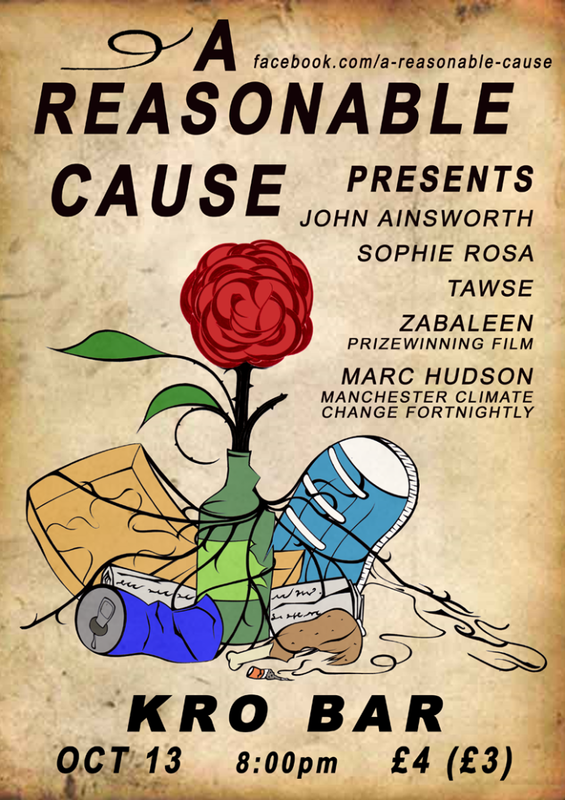 It features the Zabaleen community who live in Cairo’s main rubbish dump and recycle the cities waste. Marc Hudson from Manchester Climate Fortnightly will be coming to talk about Climate Change and what we can be doing in Manchester to help.